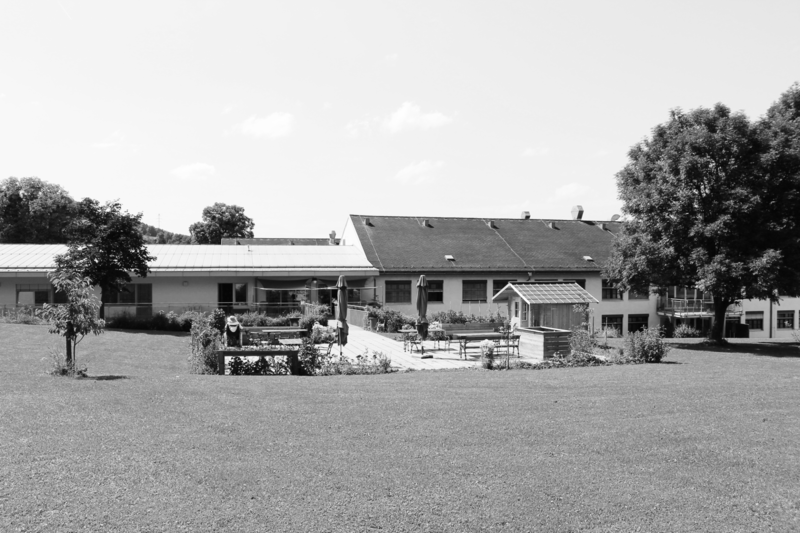 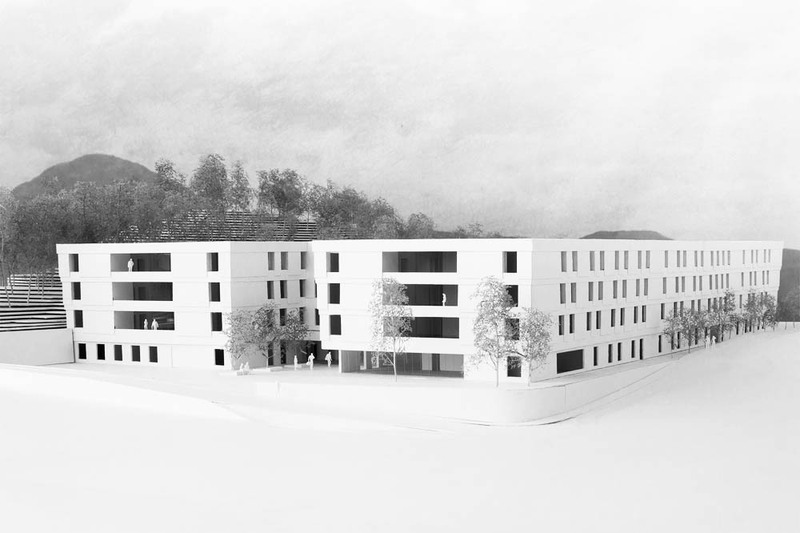 The nursing home in the Lower Austrian municipality Hainfeld is extended with a living and nursing area for dementia patients. 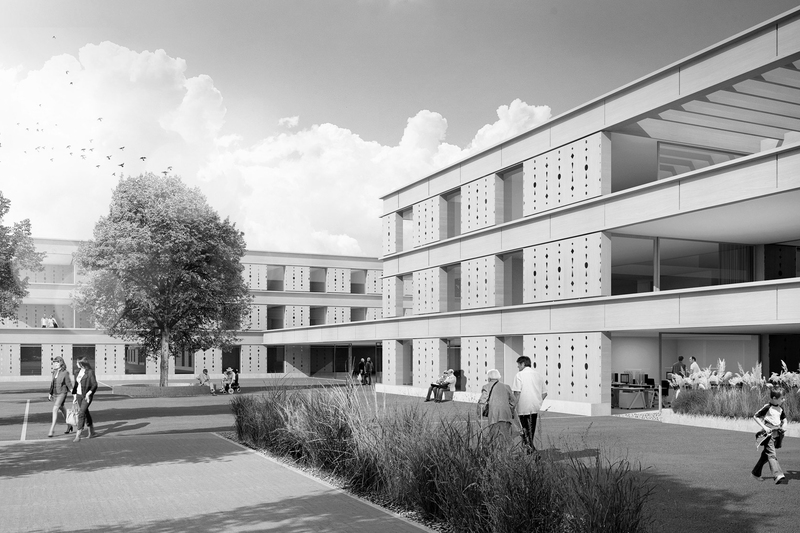 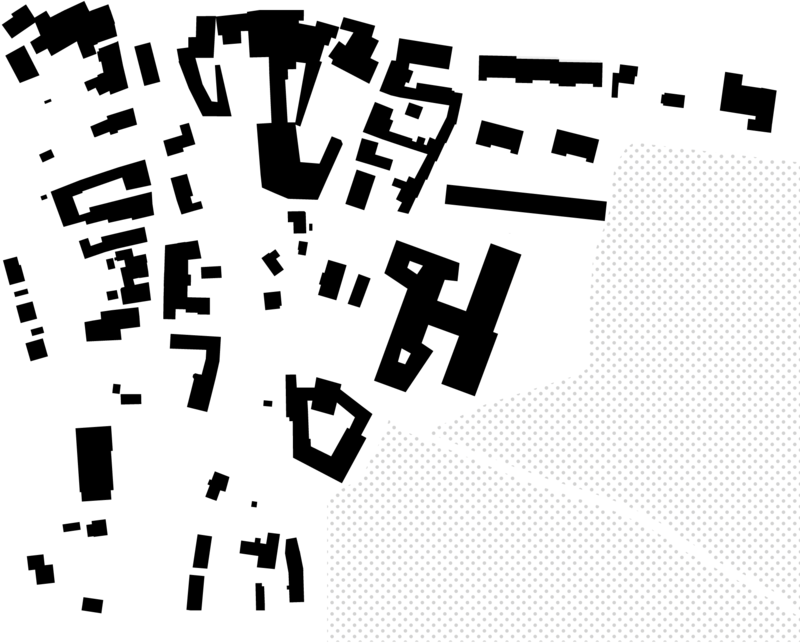 The new two-story building components to the north and south are situated perpendicular to one another and connected via a central middle building. 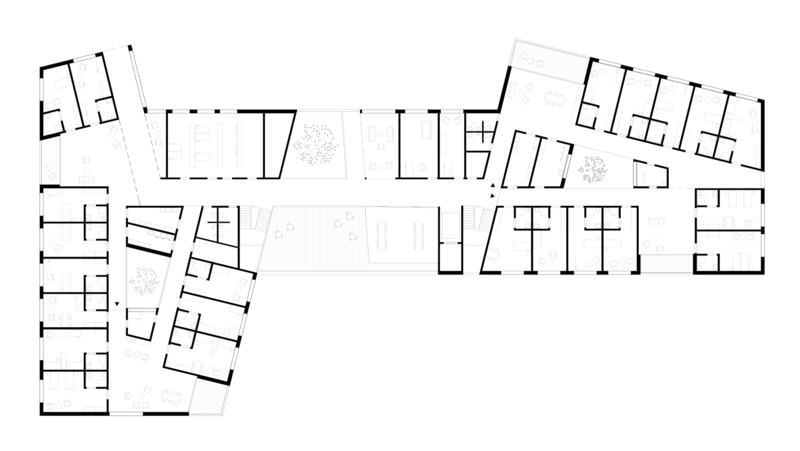 The private rooms are grouped in a windmill shape around a zone of ancillary rooms with a central atrium. 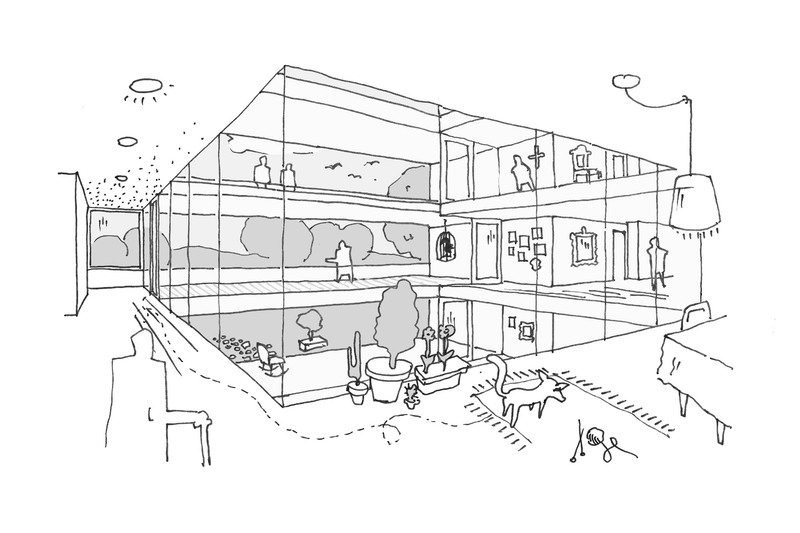 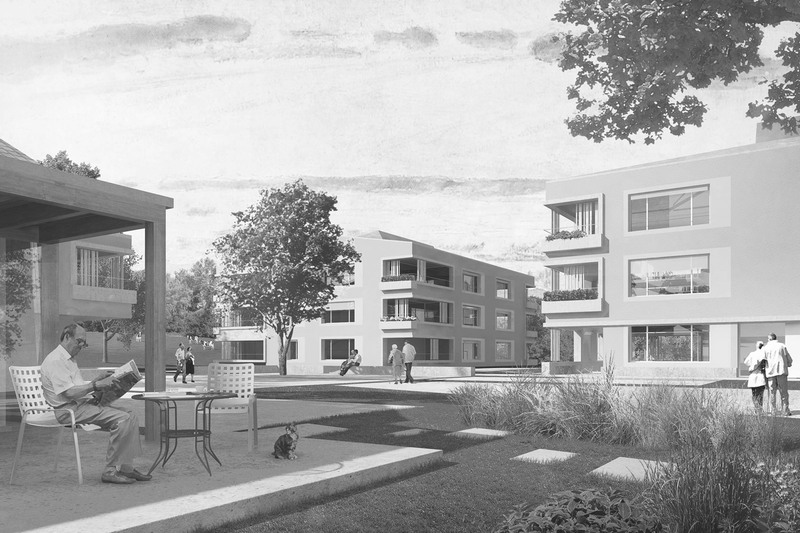 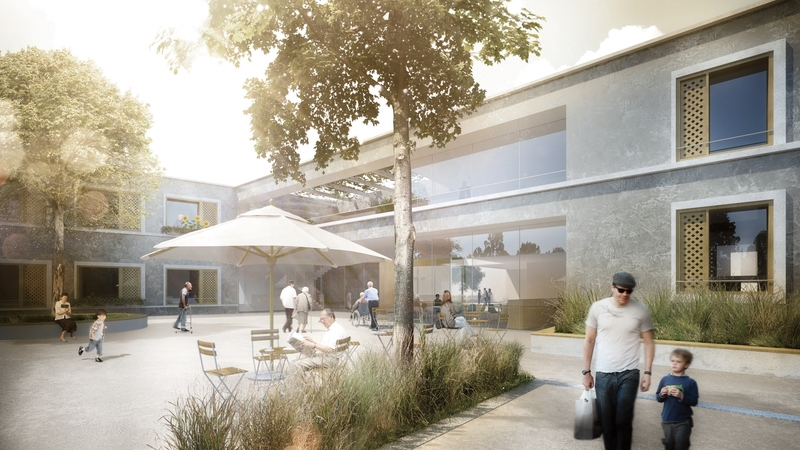 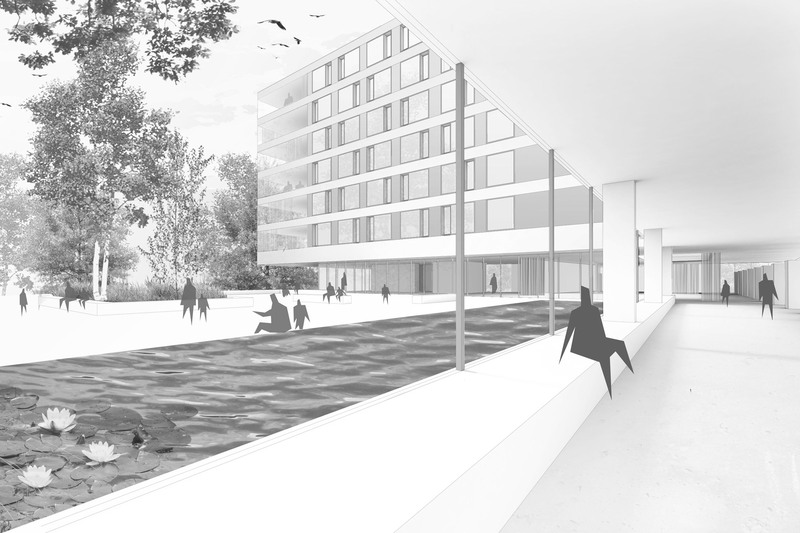 This design scheme creates places of encounter outdoors and pleasant views to the landscape from within as well as different pathways and parcours for the dementia patients.